Advertising Manager at Ducks Unlimited, Inc. Started school in Halls, TN. Moved to Richardson when Daddy was transferred in 1965. Started 6th grade in Richardson and graduated with you guys in 1972. Spent my freshman year at Tyler Junior College where I was an Apache Bell. Finished college at Murray State University in 1976. After working for 2.5 years, I returned to Memphis State to earn my Masters of Arts in Teaching. I have worked in a variety of professions such as teaching, transportation, retail, auto aftermarket, and finally I have been at Ducks Unlimited since 1992. No family in the area. Both my Mom (2013) and Dad (1990) have passed. I still have my sister, Celia. She lives in Memphis, TN and has 3 boys. My husband, Joe, passed away January 2015 with heart issues and cancer. I still have my son Brandon and is a wonderful blessing to me. Anita Arwood Goode has a birthday today. 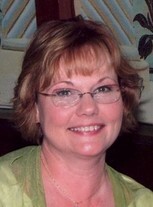 Anita Arwood Goode updated her profile. View. Anita Arwood Goode changed her profile picture. Anita Arwood Goode added a photo to her profile gallery.